This is our affordable collection that a lot of our parents would fall in love with because these baby party dresses are so adorable!Blush Kids Luxury Couture introduces their newest Adorable Collection of affordable baby party dresses that are not only simply sweet but loved by our Moms because of the quality and affordability of each of our baby girl dresses. 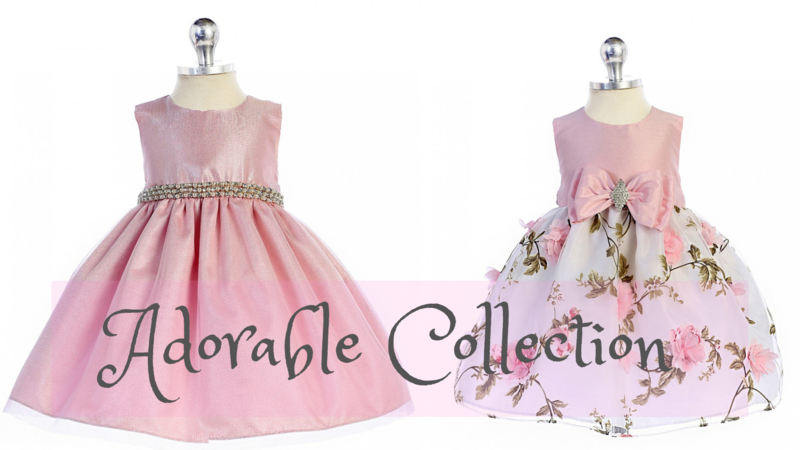 We are confident you would be the most happiest Mom on planet earth when you see your little princess all dressed up in one of these beautiful dresses! Our baby party dresses come in a wide variety of beautiful colors, styles and fabrics to choose from and are simply perfect for birthdays, weddings, portraits or any special occasion or formal event! Blush Kids Luxury Couture Adorable Collection gives you quality and affordability all in one package. So, what are you waiting for? Come shop Blush Kids Luxury Couture where you can find a wide selection of beautiful baby dresses for your sweet princess.